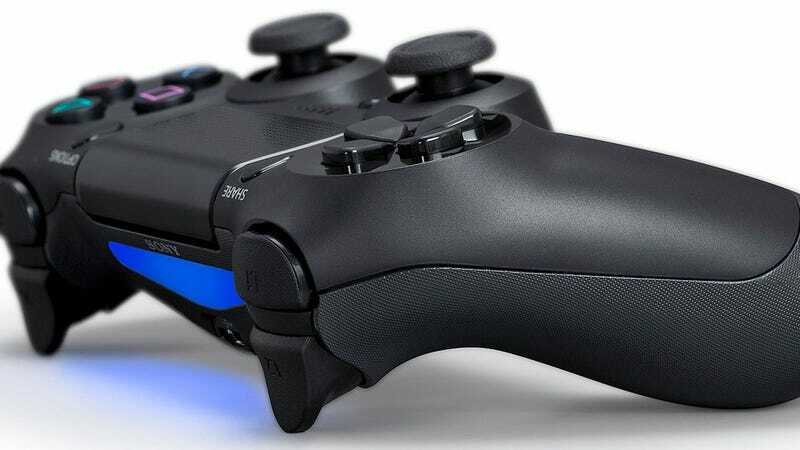 Here's your first look at Sony's new controller for the PlayStation 4. It's got a touchpad, motion control and a "light bar" for identification. There's also a "share" button, and the light bar, as well as being used to identify players with colour coding, is also the means via which a new PlayStation camera can track the pad for advanced motion controls. The design is similar to prototype images seen previously, only with—as you'd expect—a little more polish. It's also great to see Sony deviate from the standard DualShock pad, smoothing things out and making the whole thing look a little fresher.